The Environmental Appeal Board Panel has ruled in favour of the BC SPCA Wild ARC and Wildlife Rehabilitators Network of BC. This decision supports the BC SPCA Wild ARC’s biologically-responsible and humane approach to addressing animals who are injured and orphaned by human activity, and confirms such rehabilitation efforts are not contrary to the proper management of wildlife resources. In 2014, Wild ARC released 72 sterilized grey squirrels into established grey squirrel urban habitat areas within the Capital Regional District. The population of grey squirrels in the CRD is estimated to be more than 75,000, having been in the district for 50 years now. Grey squirrels are native to eastern Canada, and have been established for more than 100 years in Greater Vancouver. Research conducted in BC (Hwang & Lariviere 2006; Gonzales 2005; Gonzales et al. 2008) has shown little to no correlation between native and non-native squirrel populations, with habitat alteration being the biggest factor for native squirrel declines. 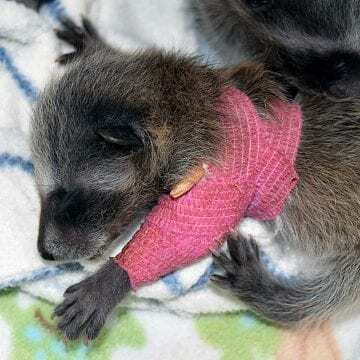 In 2015, Wild ARC cared for almost 3,000 injured and orphaned wildlife. 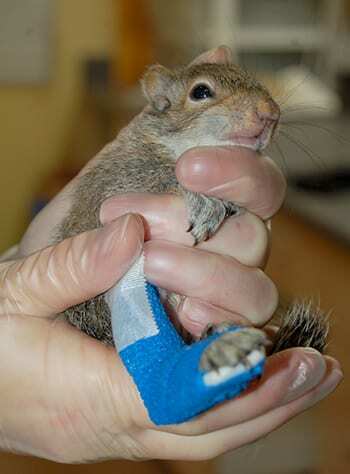 Since 1997, Wild ARC has treated almost 40,000 wild animals in need as a charitable service to the public. (171) The Appellant [BC SPCA] produced expert opinion evidence stating that it was unclear how the release of small numbers of non-native Schedule C wildlife from its facility, into the same areas from which they came, could contribute to the spread of invasive species. This evidence was supported by numerous scientific papers concerning invasive species generally and, in particular, in British Columbia. (173) …Much of the evidence presented concerning competition and impacts of eastern grey squirrels on red squirrels is from Europe; red squirrels in Europe are a different species from that of the British Columbia native red squirrels. (179) …[independent expert] evidence is that the non-native Schedule C species at issue have been well-established in British Columbia for many decades, and the government has no existing plan to eradicate these populations. The evidence, shows that the return of these small numbers of animals to the area from which they were taken will have a negligible impact on the areas. The Appellant [BC SPCA] contends that this practice, therefore, is not contrary to the proper management of wildlife resources. The Panel agrees. (183) Further, the Ministry’s position on this issue is inconsistent, given the presence of section 3(1) of the Designation and Exemption Regulation, which allows individuals to trap (on private land) and possess Schedule C wildlife for up to 24 hours before releasing the animal within one kilometer of its capture site on Vancouver Island. (184) For some unknown reason, the Regional Manager applied a new policy to the Appellant’s facility without advance notice, without a transitional plan for the animals currently in the facility, and without any plan for public education. The manner in which this was implemented, and the way that the Appellant [BC SPCA] has been treated throughout this process, has been inconsiderate, procedurally unfair – even harsh. (185) …the Panel is convinced that the rehabilitation and release of the small numbers of non-native species from the Wild ARC facility, provided that the conditions in the 2014 permit (Permit NA14-93249) are applied, will not be contrary to the proper management of the wildlife resource in British Columbia. Read more facts and research about grey squirrels.